The Image below shows an astronomy related forecast from Clear Outside by First Light Optics. 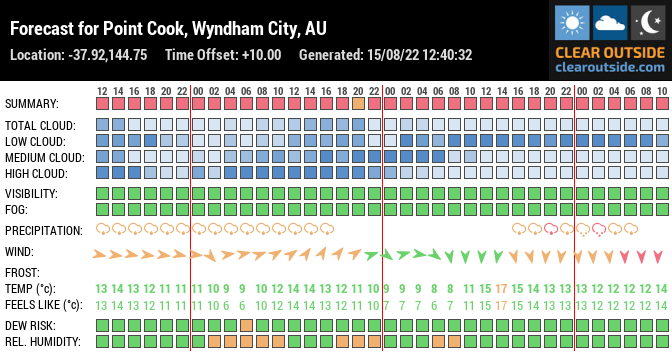 See also the meteoblue astronomy seeing page for Point Cook. powered by cumulus mx (3.0.0 b3041) | last data update: Apr 20 2019 08:29:21 (Australia/Melbourne).